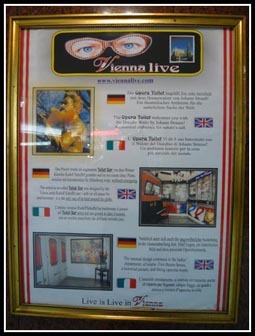 Following up from this morning’s post on the quirky sides of Vienna, I will be sharing with you how Viennese had integrated the Opera culture into even their toilets. 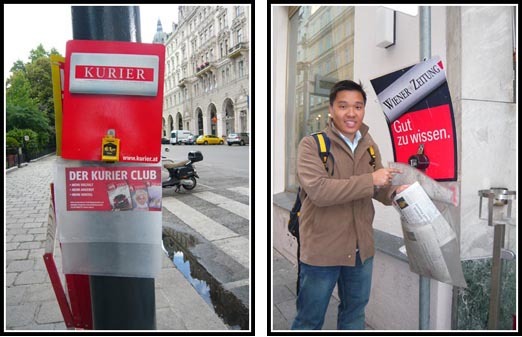 Just underneath the Vienna Opera House lies a public toilet that plays Mozart music. For €0.60, you get to soak in the entire Opera atmosphere as you go about doing what you have to do. The following picture and video will provide you with a peek at its interior. 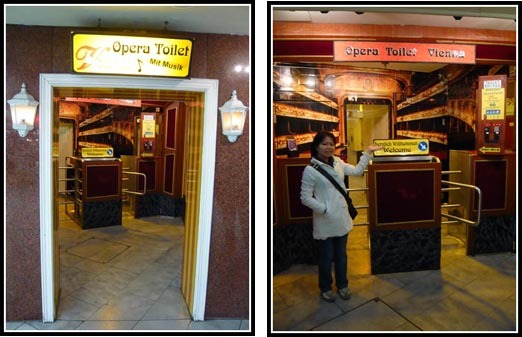 A video of the “atmospheric” Opera Toilet – not filmed by me. If you suffer from motion sickness, you might want to refrain from watching this video; can get quite dizzying at times but you will see what the interior looks like. The Opera also provides free live telecasts of their performances outside. 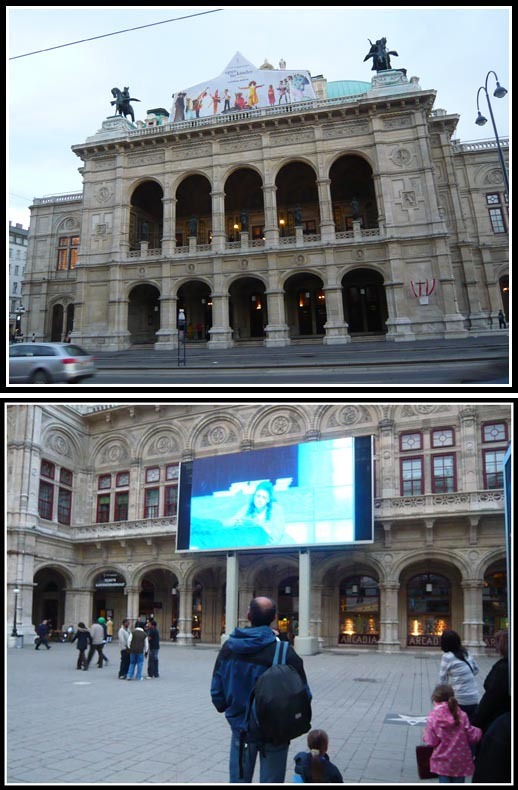 We would have to soak in the REAL Opera atmosphere by watching a performance but it is way too cold.. brrr..
During World War II, the German Air Force (Luftwaffe) constructed large, above-ground anti-aircraft gun blockhouses flak towers to defend Vienna against Allied air attack. They also served as air-raid shelters for tens of thousands of Viennese. With concrete walls up to 3.5 metres thick, these flak towers were considered to be invulnerable to attack with the usual ordnance carried by Allied bombers. After the war was lost, the demolition of the towers was in most cases unfeasible and many remain to this day. The L-Tower in Esterhazypark is used as an aquarium. 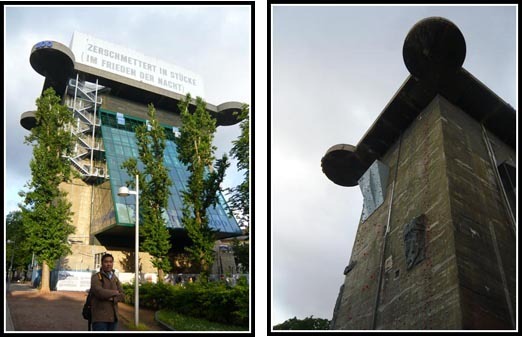 It used to serve as a Lead Tower with these functions: fire-control tower, command tower, listening bunker or small flak tower (YES! 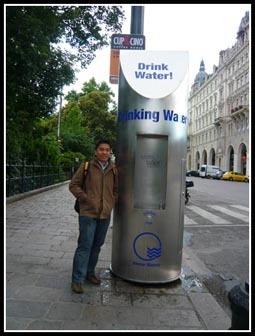 this is a small one – there are other bigger ones in Berlin and Vienna). Cool design. Nice places. Nice shots. Traveling is best for stress release. We must spend some time to travel and meet others to relax. .-= Health Outfit´s last blog ..Family Diet – Dieting with your Family =-. hey dun u have to work lol? always travelling? .-= wayangtimes´s last blog ..10 Reasons Why Posting Your Photos Online is a Bad Idea =-. Sure i work.. these are just updates from my recent May Europe trip. I’ve read this post and if I could I wish to suggest you some interesting things or suggestions. Maybe you can write next articles referring to this article. This is really one of many superior reports regarding those that Ive got please read on that subject matter nowadays. Excellent work.